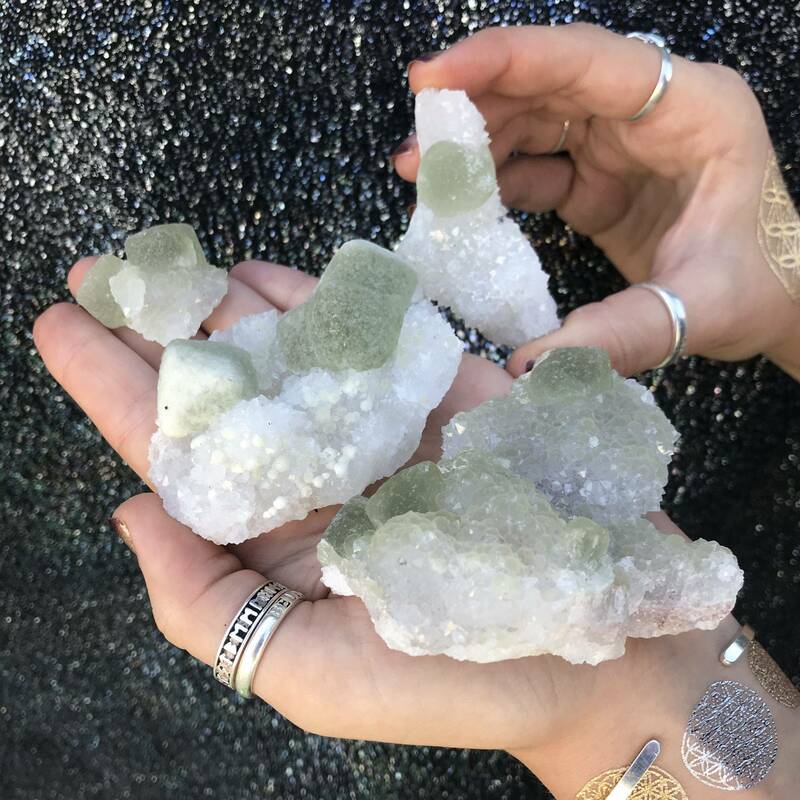 Raise your vibration, expand your consciousness, and connect with your soul purpose with these rare Calcite and Fluorite stones! These gems will evoke your innermost spiritual gifts and lead you in sharing them with the world, fearlessly and authentitcally. There are four sizes to choose from: Small (about 1-1.5″), Medium (about 2-2.5″), Large (about 3-3.5″), and X-Large (about 4-4.5″). Please select the size that calls to you from the drop-down menu above. Que Sera is a magnificent combination of blue and pink opal that comes from Brazil, and its power is deeply felt in this Que Sera sphere. Work with this stunning gem to harness energies of healing, peaceful communication, love, and compassion. Measures about 3".